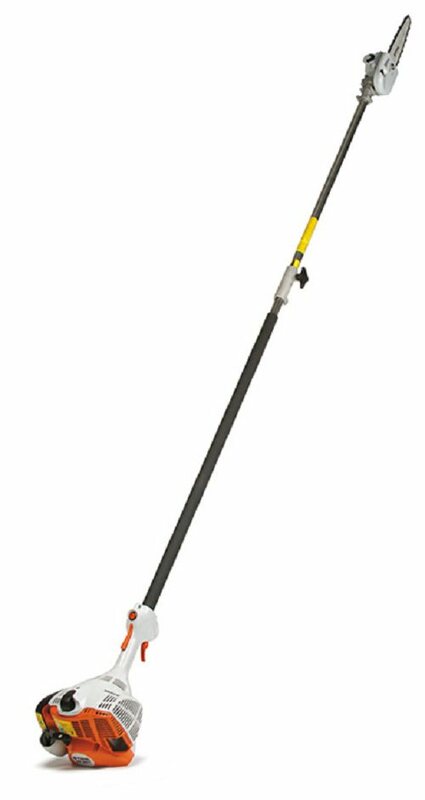 Sale Price $369.95 A low-emission and fuel-efficient pole pruner for homeowners, complete with Easy2Start technology. Don't let overgrown branches loom over your property. Prune those branches with the STIHL HT 56 C-E pole pruner. It's nearly effortless to start thanks to our Easy2Start technology, just give it a light pull and watch the STIHL HomeScaper Series engine roar to life. The pruner is also lightweight and features a unique, two-piece shaft design for easy storage and transport. It's a great addition to your landscaping arsenal, all for an affordable price.